Rahma Nabaliri is a student at St. Gonzaga Primary School in Kamuli, Uganda. She had been at the top of her class, but when her vision declined, she was unable to keep up in school and could not afford eyeglasses. 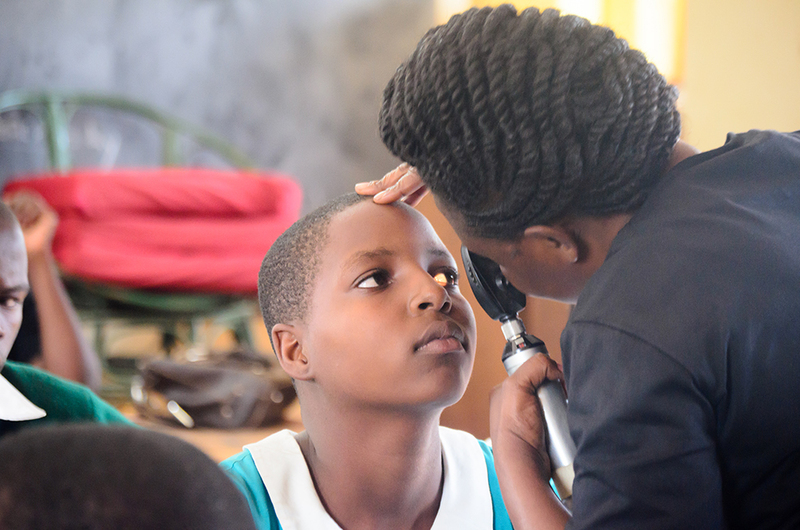 In Uganda, 1 in 10 children suffer from undiagnosed vision-related problems. Lack of affordable eyecare for students like Rahma is something that Brenda Katsewigye solves with her social enterprise, Wazi Vision. Her solution: to manufacture eye-glasses from recycled plastics, thus reducing the cost of eye care by over 80 percent. In Uganda, eyeglasses cost on average $150 dollars. Wazi Vision sells them for $7 to $20 a pair, including to students like Rahma. Blurry vision hinders one’s ability to work, learn, and remain productive. A pair of corrective eyeglasses can increase productivity by 35 percent and has the potential to increase income by 20 percent. We are bringing eye testing closer to people in areas that have health centers that otherwise cannot afford expensive eye testing equipment. 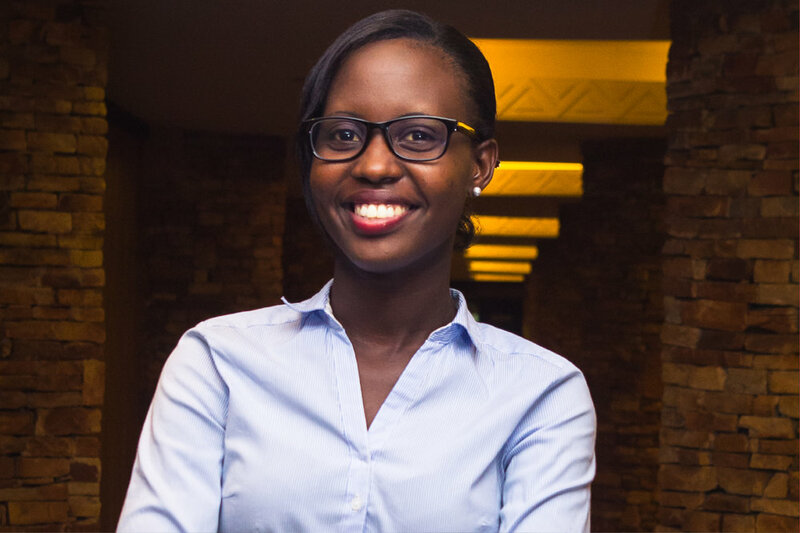 With an initial grant of $25,000 from the U.S. African Development Foundation (USADF) and the Citi Foundation, Brenda created her prototype eyeglasses, visited 12 schools in rural areas in Uganda, screened over 2,200 children, and provided 400 pairs of eyeglasses to low-income children. Additionally, she turns a profit and employs female artisans who are trained to design and mold the plastic frames, creating jobs locally in a sector that previously didn’t exist. Entrepreneurs like Brenda are essential in emerging economies, creating markets where there are none and finding innovative solutions to long-standing social and health problems. Not satisfied with her current success, Brenda has her eyes set on an even more ambitious target to bring this entrepreneurial spirit to the affordable housing market. “During our outreach campaign, we noted that a lot of the teachers of the children that we target in rural areas could not afford only eyecare, but also could not afford basic housing,” says Brenda. With a follow-on grant of $50,000 from USADF and the Citi Foundation, she plans to expand her product line to produce low-cost building materials made of the same recycled plastic as Wazi Vision’s glasses. She plans to provide over 20,000 families with affordable housing materials. The U.S. African Development Foundation (USADF) and the Citi Foundation announced in November 2017 their commitment of over $1 million dollars in seed capital funding for youth-led enterprises in Africa. Together, USADF and the Citi Foundation – through their Pathways to Progress initiative – are funding and mentoring Africa’s next generation of business leaders to help solve some of the continent’s biggest and longest-standing problems. To date, USADF has invested nearly $4 million in 180 youth-led social enterprises in over 30 countries.